Q: Is Madison's ghost real or did Claire just imagine it? 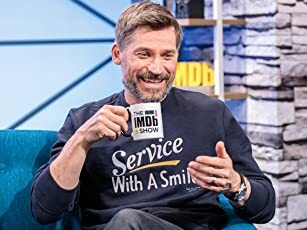 Q: What is 'What Lies Beneath' about? The creepiest film in many years. I sat down to watch this film with basically no pre-conceived notions concerning its plotline (or quality, for that matter.) A little over two hours later, I was still shivering and shaking. Robert Zemeckis has taken what is undoubtedly a good (though maybe somewhat predictable) screenplay, and has lifted it to the level of Hitchcockian genius. My eyes bugged out, my skin crawled, my breath got short, and I couldn't have torn myself away even if the Publisher's Clearing House Prize Patrol was at my door. Along with a great story and masterful directing, this movie features the superb performance of Michelle Pfeiffer. Ambivalent about her acting skills in the past, I am now a full-fledged Pfeiffer fan. Harrison Ford is certainly adequate, and this role is a refreshing change for him, but Michelle steals the show. Good ghost stories are few and far between. 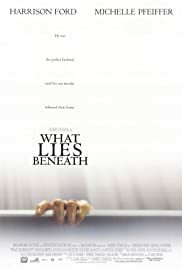 Even "Stir Of Echoes" and "The Sixth Sense", fine films that they are, don't compare to the perfect blend of soundtrack, plot twists, camerawork and performance that make up "What Lies Beneath". If goosebumps are your thing, don't miss this one. 85 of 113 people found this review helpful. Was this review helpful to you?